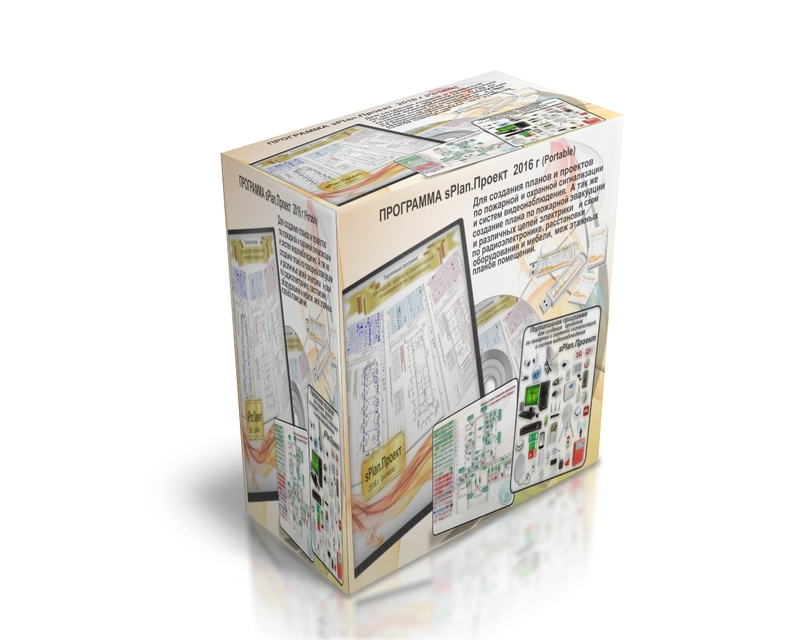 We present our portable program to create projects for fire and burglar alarm systems and video surveillance systems. 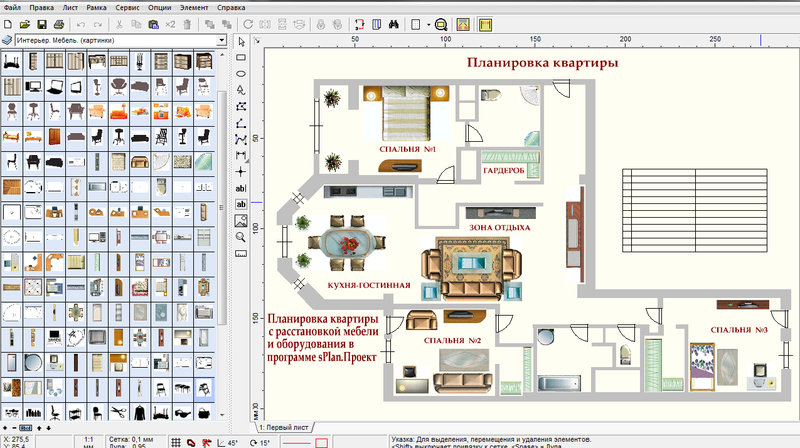 as well as the creation of a fire evacuation plan and the various electrical circuits, and circuits for radio electronics, placement of equipment and furniture, between the story floor plans - sPlan.Проект. 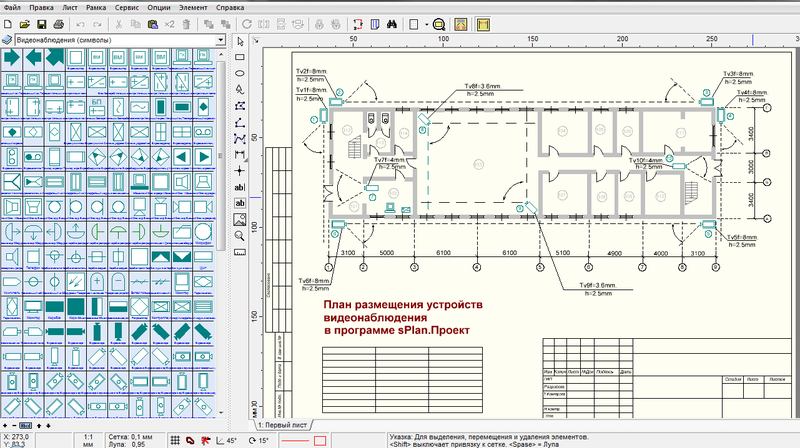 This program is much easier to create plans and projects, for both experienced and novice engineers involved in the design work. 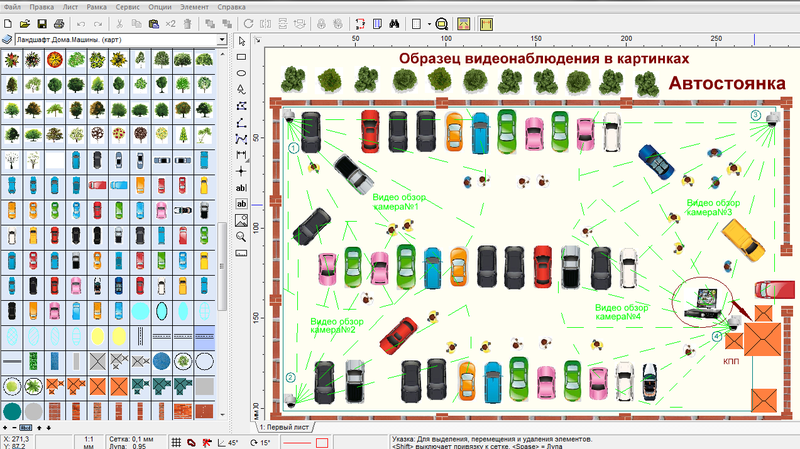 With this software, you can quickly create not just any graphic design, but also the option to complete the painting, not interchangeable to create various kinds of presentations and promotional attributes. The total number of characters in the program - 4020 pcs. Total kartinochnyh elements - 1910 pcs. 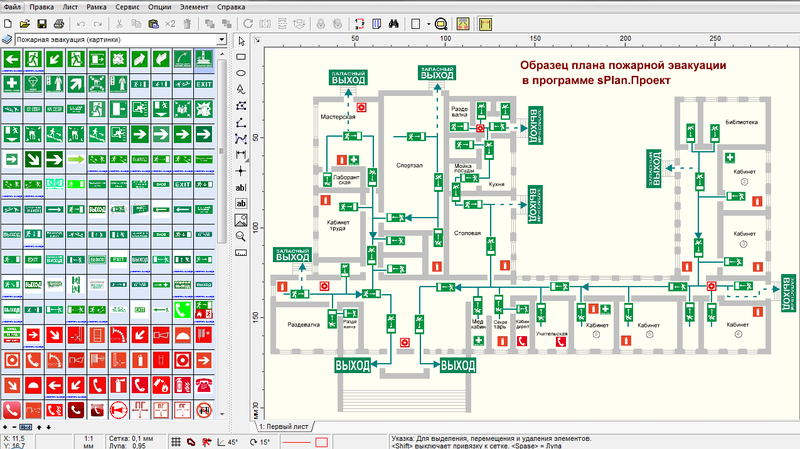 The library contains fire alarm (330 characters), various sensors, detectors, instruments, which makes it possible to create high-quality full-fledged project. In addition to creating projects, thanks to the existing library of pictures - (600 images) an opportunity to set up special stands for fire protection or visual aids. Topic security alarm system includes 230 characters, a variety of sensors, actuators, alarm buttons, detectors, speakers and other necessary equipment. 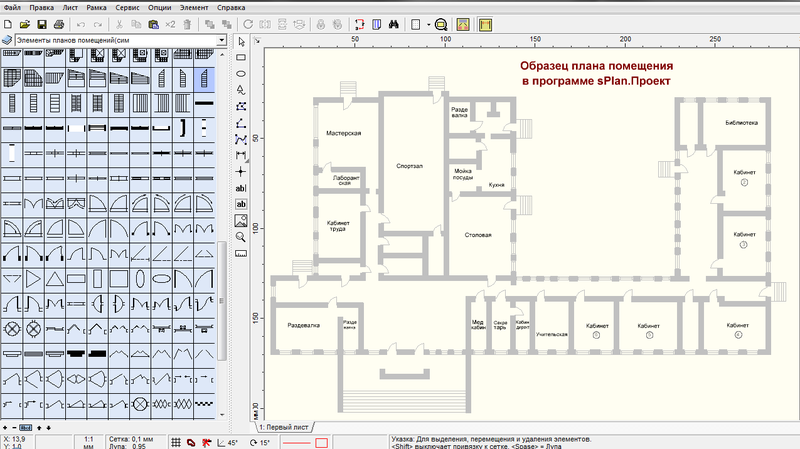 A separate topic - Fire escape, thanks to its database of 260 images, allows you to create an evacuation plan .. 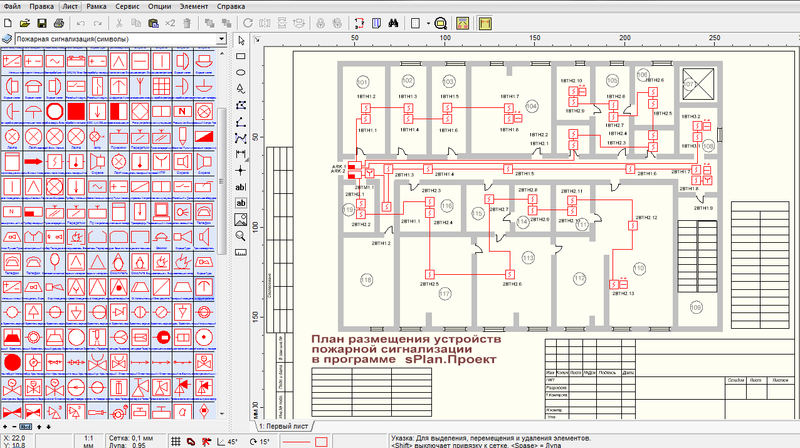 Section program - Electrics includes 360 characters, which will help create any electrical circuit, with a separate database of images (440sht) clearly show the location of sockets, switches, fluorescent lighting, wiring and a lot of other equipment. Electronics in the program is represented by two sections, includes more than 1,300 characters, will quickly gather the necessary circuitry.